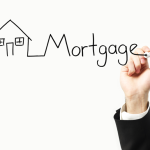 Mortgage scams have become a large source of income for certain individuals over time. Especially during and after times of economic recession, home owners face a significant risk of being scammed by unscrupulous individuals who would go to great lengths to scam honest people out of their hard earned money. During times of economic recovery, many home owners also find themselves facing foreclosure, which makes them an even more vulnerable target for mortgage scams. The housing market is continuing its slow recovery this year as well, so you should keep your eyes peeled for any offers that seem too good to be true, or sketchy people who are willing to give you a hand with your mortgage or a home improvement project for cheaper than usual. 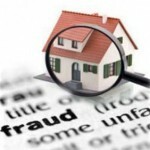 Mortgage scams are not only common in times of economic recession, though. They have been around for quite a while, but scammers are evolving, coming up with new ways of trying to get their hands on your money or homes (Read: Watch Out! Protect Yourself From Homeowner Scams). Many people make the mistake of thinking it could never happen to them, either because they think they know how to spot a scam or because they believe that mortgage scams are very uncommon. The truth is that scams often happen to people who least expect it and under the eyes of the law. Click here to read more. Having a “too good to be true” mentality can save you a bunch of trouble when it comes to mortgages, but great and legitimate deals can be found, even in this economic climate. The only thing you can do to avoid mortgage scams is to take all the necessary precautions. Only do business with companies and organizations that have the proper accreditations, come highly recommended by people that you trust, or have been in business for a long time and have good customer feedback. Checking with your local Better Business Bureau is a good way of finding out more about a company, even though this is not the only thing that you should do when checking out a company. 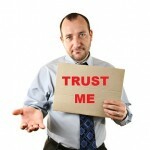 So, in order to avoid mortgage scams, you should use a combination of research and common sense. Avoid doing business with companies that have complaints and negative feedback from previous customers, don’t sign any documents and contracts that you don’t fully understand, only accept recommendations from close friends and family, never sign the deed to your home to someone who says he or she can save your home from foreclosure, and never make mortgage payments to someone other than your lender. As we’ve discussed before, mortgage scams tend to evolve once people start wising up, but they are usually just improved versions of scams that have been around for years. Knowing which scams are current will help you avoid them, and save you from losing quite a lot of money, or even your home. Here are the top 5 mortgage scams that you should watch out for this year. The bait and switch scam has been around for ages and is not only used in the real estate industry (Read: Beware of the Bait and Switch Mortgage Strategy). The way it works is a lender baits the home buyer or the home owner who wishes to refinance with low interest rates and great terms on a mortgage loan. Once the customer has taken the bait, the lender informs him or her that the interest rate and terms are no longer available, but they can offer the next best thing. This is called the switch. Unfortunately, lenders have ways of protecting themselves from customers who threaten to sue. Often times, the low interest rates and attractive terms come with some strict conditions or a time frame, which are only disclosed in the fine print. The fine print is easily readable in a magazine or flyer, but easy to miss in a commercial on TV. Alternatively, the lender can just say that the commercials or advertisements are old and show deals that are not available anymore. People who face foreclosure and eviction are targeted often by scammers who take advantage of their delicate situation and fragile state of mind. Homeowners who face foreclosure are approached by the scammer, who offers them the chance to take out a new loan that will cover their mortgage expenses and consolidate their loans. In order to qualify for the new loan, the owner who is in financial difficulty has to transfer ownership of the home to the scammer and pay a few costly fees. The scammer usually disappears with the money, leaving the home owner to continue making mortgage payments on a home that he or she doesn’t own anymore. Read more about current foreclosure scams here. The scammers take out a classified ad in a newspaper or online, with pictures of properties that they have no connection with. When a person who is looking for a place to rent calls them, the scammer will impersonate a landlord and give them an excuse as to why he or she cannot show the property. Then the scammer asks the person who is looking to rent to meet him in order to sign the contract, pay the deposit and receive the keys to the rental. If the scammers receive the payment, they simply disappear, while the renters only find out they have been scammed once they show up at the property and find out that the person who took their money is not a landlord. Because many aren’t capable to protect themselves as well as younger people, seniors have always been considered easy targets by scammers. Scammers also go after seniors because most of them have larger savings than say, a young home buyer. Because reverse mortgages allow seniors over the age of 62 to borrow against the equity in their home, it is easy for scammers to defraud them, leaving them without their hard earned savings, or even their homes (Read: Fact or Fiction? Reverse Mortgage Myths Exposed!). Not as common as other scams, but one of the most damaging types of mortgage scams, because the person who is being scammed loses much more than just some money. The worst kind of title fraud begins with the scammer stealing a home owner’s identity, then transferring the property to his or her name, and eventually taking out a new mortgage and disappearing. The owner is left with a large debt, no home, and possibly a ruined credit score. In order to recover some of the losses, the owner will have to spend a lot of time battling lenders in court. To read how to avoid title fraud scams go here. Knowing what to watch out for makes a huge difference when trying to avoid being scammed. Mortgage scams can be devastating to someone’s financial situation, and recovering can be very difficult. Researching the company that you consider doing business with and being patient is very important, especially in this economic climate. If you still have suspicions and want more peace of mind, hiring a real estate attorney can give you even more protection against mortgage scams. Avoiding mortgage scams is much more important than risking everything in order to get a good deal (Read: Top 10 Signs of Mortgage Scamming). Unless you have a perfect credit score and a very good income, qualifying for a mortgage will prove to be fairly difficult. There is always the chance that you will qualify for less than you need, or even be rejected because of your low credit score or for being unable to prove to your lender that you are not a high default risk. Once you get passed the approval process, you will find out that the initial cost of a mortgage is very high, and will probably require you to spend all your savings at once. Between the down payment and the closing costs, you are looking at tens of thousands that you will have to spend before you can even move into your new home. Besides the price of the home, there are other aspects of the mortgage which will determine how much money you will be spending. 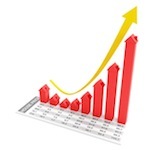 One of the most important aspects of a mortgage loan is the interest rate. Mortgage rates fluctuate frequently, and make a huge difference in how much money you will be spending on your mortgage loan. Qualifying for the best interest rate requires you to have a perfect credit score, a large income, and make a large down payment. The interest rate will also be affected by how long the loan repayment period will be. With a longer term, your monthly mortgage payments are lower, but the interest rate will be higher. If you choose a shorter term and can afford to make much larger monthly mortgage payments, then your interest rate will be lower. By being a perfect borrower and choosing a short term, you can influence your mortgage interest rate (Read: Mortgage Rates Forecast Vs. Home Mortgage Rates Today). But there are other factors, which are out of your control, which have a larger effect on interest rates. The biggest influence on mortgage rates is the national economy. A rapidly growing economy will cause inflation, which will cause the Federal Reserve to attempt raising interest rates in order to slow down the economy. When the economy is struggling, the Federal Reserve will usually reduce interest rates in order to stimulate the housing market. Also, when there is a large number of new mortgage loans being originated, investors tend to avoid purchasing these loans, so interest rates are increased. Rising interest rates usually make home buyers think twice before buying a home, or even give up on buying a home. Higher interest rates make buying a home more expensive, so many home buyers might get discouraged. However, in this economic climate, there are some things that you should keep in mind when buying a home, even when interest rates are rising. Mortgage interest rates are rising because the economy is strengthening, so buying a home right now is not such a bad idea. Rising interest rates mean trouble when they are rising on their own, but, if they are doing it together with the strengthening of the economy, it means that the demand for homes will still be high. So buying a home before interest rates increase even more is actually a good idea. Follow this link to read more. 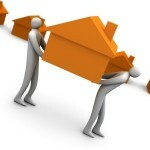 Buying a home before interest rates increase more may be difficult because inventories are low. This may be a problem for many buyers who are looking to buy a home right now, before an even larger increase in mortgage rates. The economy is recovering, so there is a large demand for homes, but inventories are pretty low, so the chances of finding a home that will suit your needs are slim. Statistics show that most home buyers worry about not finding a home that they like more than they worry about the rising mortgage interest rates. To read more about the effect of this on the housing market click here. Qualification requirements are still fairly strict. Rising mortgage rates are a small problem if you are unable to take out a mortgage loan in the first place. Lenders are trying to protect themselves more than ever from giving out loans to borrowers who are a high default risk. Fortunately, because interest rates are increasing, refinancing will slow down, so lenders will, most likely, loosen their requirements for home purchase lending in order to attract more home buyers. Recently, when interest rates were near record lows, lenders were making most of their money from the large increase in refinances, but, with increasing mortgage rates, the number of refinances will start to decrease significantly. Don’t think that, because interest rates are rising, renting will be cheaper. Buying a home will be more and more expensive than before when interest rates are increasing, but renting will still remain the more expensive option, unless mortgage interest rates rise to over 10 percent (Read: Take Advantage of Today’s Historically Low Rates). Rising mortgage rates will make home ownership unattainable for some people, but time can be a bigger enemy. Waiting for interest rates to decrease can be a big mistake, because it may never happen and you will be losing money by renting instead of buying. On the bright side, rising mortgage rates will strengthen the economy and allow more people to qualify for a mortgage. 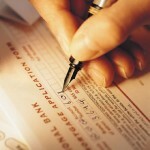 Filling Out Mortgage Loan Applications Just Got Easier! Buying a home may seem like a difficult and scary process, and many home buyers are afraid of doing everything themselves. It is true that you should ask for help if you don’t understand how the process of taking out a mortgage loan works from start to finish, but you should also know that it is something that you can learn on your own (Read: Here’s a Cheetsheet to Understanding House-Pricing Indexes). Buying a home with a mortgage used to be a hassle in the past, but the housing industry has changed significantly. Most lenders do everything in their power to make your mortgage loan application process easier and quicker. With the help of your computer and the Internet, you can even do it from home, without having to run around town signing a bunch of papers (Read: More People Turning to Online Mortgage Loans – Should You Too?). It is recommended that you obtain some, if not all, of the documents needed when applying for a mortgage before you even apply, just to make things go quicker. This may seem like a scary task for some home buyers, but, with a simple phone call, you can find out which documents you will need before you visit the lender for the first time. Sometimes you can even find out which documents you will need by simply visiting your lender’s website. Lenders can also gather these documents on your behalf, sometimes for a small fee, and sometimes for free. Asking your lender before you start piling up papers about your finances is better than doing it on your own and finding out that your lender already has access to some of the documents that you had to wait in line for. Residence History. This is a list of the places where you have lived in the past couple of years. You will only have to type up a list, and provide a letter from your landlord if you have been renting, which should verify that you have paid your rent on time. Income. You will also need documents that verify your income for the past two years. Tax returns, W-2 forms, and pay stubs should be all you need to prove your income, unless you are self-employed, in which case you will need to provide additional documentation (Read: Self-Employed? Here’s How You Can Qualify for a Mortgage!). Additional Income. If you have income from child support or alimony, find out if your lender needs it and for which period. Gifts. If you receive part or all of the money that you are using as a down payment from someone as a gift, your lender will want to see a signed letter from the person who made the gift. Assets. Documents that list your assets. You will need statements form your bank accounts, both checking and savings, IRA and mutual funds. Debt. In addition you will need a list of all your current debt. Since your lender can verify your credit report, this list will only help you make sure that everything in your credit report is correct. There are several other documents that your lender will want to see when you apply for a mortgage loan, so checking with them a few days before will help, and give you enough time to find these documents. Applying for a mortgage is not as difficult as it seems. Yes, you will need to provide several documents which you may not know where to get, but, with a simple Internet search or a few phone calls, you can quickly get the help that you need and get on the right track to applying for a mortgage loan and becoming a home owner (Read: Buying Your First Home: The Process from Start to Finish). When buying a home, most home buyers take out a conventional mortgage loan. Mortgage loans are designed for the large majority of people who wish to become home owners, but don’t own enough money to make a home purchase with cash. A large amount of money is still needed initially for the down payment and various fees and closing costs (Read: Assessing Your Current Financial Situation: Are You Ready for a Home?). Besides conventional mortgage loans, buyers with specific needs are still able to find niche mortgage loans, which have advantages and disadvantages over other mortgage loans. Depending on what you are looking for, a niche mortgage loan might be a better fit for your needs than a conventional mortgage loan. Niche mortgages can accommodate home buyers who are looking for a mortgage that will help them make their home more energy efficient, or buy a home that is within walking distance of their workplace, allowing the borrower to take out a larger loan. Borrowers with low credit scores, who are not able to qualify for a conventional mortgage can also take advantage of a type of niche mortgage loan, which was designed especially for them. Homes that are energy efficient allow their owners to spend less on utility bills each month, allowing them to take out larger mortgage loans. Energy Efficient Mortgages help owners make their homes more energy efficient, but are not second mortgage0s (Read: Need a Second Mortgage? 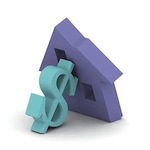 A Home Equity Line of Credit Could Be the Answer!). When buying a home, you have the possibility of adding an Energy Efficient Mortgage, which will pay for the energy efficient upgrades to your regular mortgage. The two mortgages will be rolled into one, but you won’t have to meet any qualification guidelines or make a down payment for an Energy Efficient Mortgage. If you plan on refinancing your mortgage and want to upgrade your home to be more energy efficient, you can get the Energy Efficient Mortgage to be rolled into the new mortgage loan. Also, if the home that you are buying already has energy efficient upgrades, lenders will allow you to take out a larger mortgage loan because your monthly utility bills will be lower. Conventional Energy Efficient Mortgage. Offered by most lenders, whose loans are backed by Fannie Mae and Freddie Mac, the conventional Energy Efficient Mortgage allows you to borrow up to 15 percent of your home value for energy efficient improvements. FHA Energy Efficient Mortgage. With this type of Energy Efficient Mortgage you will only be able to borrow up to 5 percent of your home’s value, but the mortgage will be insured by the Federal housing Administration (FHA). VA Energy Efficient Mortgage. Backed by the U.S. Department of Veterans Affairs, the VA Energy Efficient Mortgage allows present and ex-military members to borrow up to $6,000 for energy efficient upgrades for their homes. When buying a home that is within walking distance of stores, shopping centers, public transit, or your workplace, lenders consider that you will spend less money on your commute, and allow you to take out larger mortgage loans (Read: Securing the Best Mortgage Rates). The Location Efficient Mortgage was designed in order to stimulate the development of more efficient communities and reduce people’s dependence on cars. Borrowers that wish to buy a home in an urban community are allowed to borrow a larger amount, therefore buying a bigger or better home. By doing this, Location Efficient Mortgages reduce fuel consumption, preserve open space by decreasing the need for roads, and lower air pollution, which is a problem in most large cities. The subprime mortgage is a type of niche mortgage that is designed to help people with low credit scores, usually below 600 and who would otherwise be unable to qualify for a mortgage loan, become home owners. Subprime mortgages put lenders at risk, so the interest rates on these mortgages will be much higher than on conventional mortgages offered to people with good credit scores. Most subprime mortgages are adjustable-rate, which means that the borrower will initially pay a lower interest rate for a predetermined period of time, but a larger interest rate after that period is over (Read: Fixed Rate vs. Adjustable Rate Mortgages). Many lenders, in order to increase their profits, started giving subprime mortgages very easily back in 2004, which led to a high rate of foreclosures and large financial problems for lenders. Niche mortgages can save you money or help you become a home owner if you don’t qualify for conventional mortgages. However, these mortgages also come with disadvantages which may cause you to lose money or end up losing your home, so carefully assess your financial situation and options before taking out any type of mortgage (Read: The Reality of Being a Home Owner: It Costs How Much?!). Are You Applying for a Mortgage? These Things Might Ruin Your Chances of Approval! 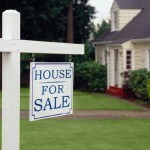 The initial cost of purchasing a house or an apartment can be very high. A 10 to 20 percent down payment plus several closing costs means that you will have to pay thousands of dollars before you can even move into your new home. But having this kind of money available won’t guarantee that your mortgage application will be approved. Lenders want to protect themselves from default, so they will take the necessary precautions. This means that they will take a close look at your financial situation, which includes your credit score, income and savings. They will also look into things like recent debt, your marital status and your job situation. Getting approved for a mortgage can be pretty difficult if your lender encounters red flags when checking out your finances and parts of your personal life. This article will take a look at what lenders may consider reasons for not approving your mortgage loan and what you can do to get out of that situation. First of all, lenders look at your credit score. People usually think that credit scores only affect the interest rate that they will receive or the down payment that they will have to make. Low credit scores can also ruin your chances of getting approved for a mortgage. Lenders use credit scores to determine how big of a default risk you are, so a low credit score will probably result in being denied for a mortgage loan. Best case scenario, they are willing to give you a mortgage loan, but at much higher interest rates, and with the requirement that you make a down payment that is larger than 20 percent. Another aspect of your financial life that lenders look at is your income. Lender requirements usually state that your housing expenses not exceed 28 percent of your gross monthly income. The good news is, besides your salary, you can count other sources of money as income. Bonuses and commissions, social security or veteran’s benefits, child support, or workman’s compensation are all considered income and can help you get a loan if your monthly salary is too low. Lenders will want to know how much debt you have, and how it relates to your income. Generally, lenders require that your housing debt plus other debt not exceed 43 percent of your income. New debt is especially damaging to your chances of being approved for a mortgage, because the lender will consider that you won’t be able to pay off the debt without encountering problems along the way. Making a major purchase by taking out a loan or co-signing for a family member before applying for a mortgage loan should be avoided in order to increase your chances of approval. Applying for a mortgage loan while you are divorcing your spouse can make things difficult, or even result in the rejection of the mortgage application. Lenders want to avoid being caught in the middle of a battle over marital property, or giving out a loan to a family where one of the members will stop paying for it. Not mentioning to your lender that you are currently dealing with divorce is a bad idea, as they will most likely find out on their own and reject your application. Borrowers who have kept a steady job for at least two years before applying for a mortgage are seen as having a smaller risk of default by lenders. The risk exists, but recently changing jobs doesn’t mean that your application will be rejected. Finding a new job in the same field as your old one, but for a higher salary won’t cause you any problems when applying for a mortgage loan. If you plan on switching jobs, try to wait until your mortgage loan application is approved. Also, if you are between jobs, you will probably have to find a job and keep it for at least two years before a lender will consider granting you a mortgage loan. Being sued or even suing someone can interfere with being approved for a mortgage loan. If you lose, you will either have to pay a settlement or have to pay some large attorney fees, making you appear unable to pay your mortgage in the eyes of a lender. 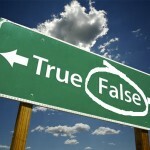 Just like when divorcing, you should be truthful when the lender asks you if you are involved in any lawsuits. There are plenty of things that can ruin your chances of being approved for a mortgage loan, but, with the proper research and knowledge, you will be able to analyze all these problems and resolve them. Even if it takes a couple of years, you should start taking care of anything that might interfere with your loan application approval.